To add to my list of favorite exercises I will go ahead and name my Top 5 favorite exercise for the “Core” All the exercise may incorporate the entire body which is fine because you can’t move your body without the core being involved one way or another. Most of these exercises I still use because they will help keep me strong and flexible for the rest of time. The single leg sit-up is a regression to the very popular Turkish get-up This is a great exercise that can hit your Core and both sides can be worked evenly. It is an exercise that can easily be loaded and when loaded help turn the exercise into a great shoulder stability exercise as well. It is a fantastic exercise that needs little set up just get in the traditional Sit up position on the floor. Extend one leg straight and perform sit ups. Did I mention that the 1 leg sit-up is also safer on your lower back? With one leg extended it causes people not to round the lower back which take a lot of shearing force off of the disk which protects your spine. Suitcase carries is the Farmer walks city slicker cousin. Instead of walking with two weights just grab one weight. Now the goal is to walk in a straight line( at least 20 yards) and keep your shoulder square and try not to lean. Keeping yourself up right will be more than enough to wake up those obliques. Not to mention there is a dynamic implementation when you walk. 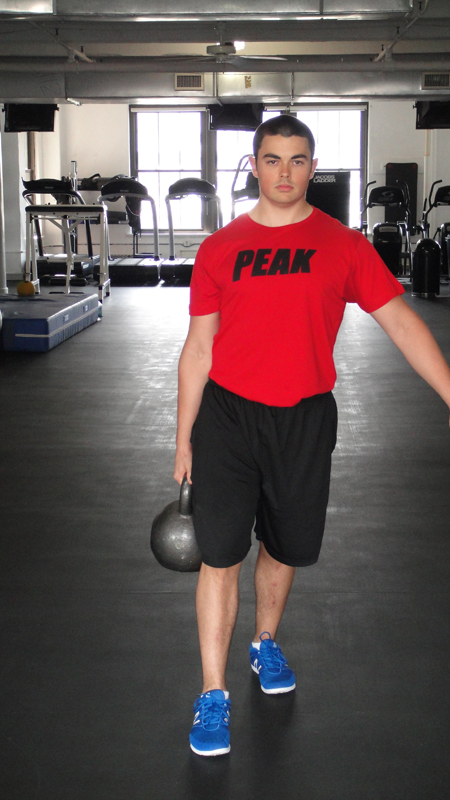 If you ever wanted to learn how to brace your core try a farmer walk. It is an exercise that teaches you how to perform it correctly while performing the exercise. I mention the single leg sit-up as the regression for the Turkish get-up. The Turkish get-up is not an exercise your want to play around with. This is exercise should honestly come with an instruction manual. This exercise will remind you how awful it can be to get up off the ground. But doing this exercise will show you your weaknesses and help strengthen them at the same time. If you wrestle, judo, ju-jitsu, or any other martial arts this is the exercise for you. I think all contact sports need to incorporate a Turkish get-up. Fantastic exercise give a shot. Get exercise for thrower, golfers, fighters, and just about all sports. 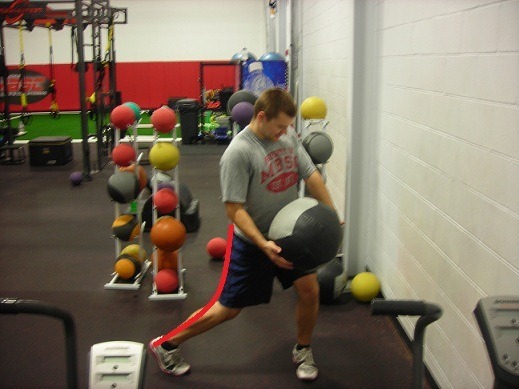 This exercise can also be used to work on power in athletes. There are so many variations but it teaches you how to generate power from your hips up through the mid section and out through your arms. It keeps emphasizing that kinetic chain. How to transfer energy created from your legs and move it through your abdomen to your arms. If your core is weak you will lose a lot of power throughout the movement. I prefer if you can throw the ball against. So I can throw the ball without worrying about injuring another person. 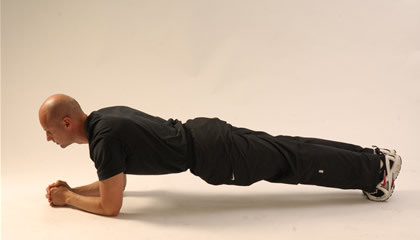 Planks are a simple exercise to train your abdominal, hips, and shoulders. Just get in a push up position on your elbows. Keep your body in a straight line from head to toe. Hold that position like your life depends on it. Very good exercise to work your core correctly which to make a stable platform in which you can move your limbs from. Very simple with lots of variations. This is a must include exercise. If you’re able to hold for at least a minute you are doing big things. If you can’t then… get to work. I really like these exercises, man! They’re actually about core strength rather than just rectus abdominis strength. That makes them so much more applicable to real life and overall athleticism/functionality.